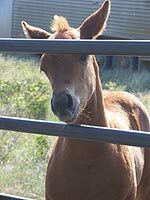 Click here to view our foals! We are extremely proud and excited of what we have to offer to the public. We do have waiting lists so please contact us on any pairings you are interested in. We just thought last year was our largest, we are expecting 35 foals in 2019. We completed the 2018 season with 27 foals and some still available for sale. The 2017 foaling season ended with 22 foals on the ground. We still have some of those 2017s available for sale as well. The 2016 foaling season concluded with 16 fantastic foals. 2012 to 2016 were great years with a lot of nice foals put on the ground with a whopping 24 born in 2014. The foals have been selling quickly as weanlings and yearlings and we have kept back some awesome prospects for ourselves. We are very happy with how our breeding program is progressing. A per testing requirements with AQHA we have done the 5 Panel Genetic Disease test on all our stallions and have also done all the mares. We will be updating our website to disclose that information as it becomes available to us. Genetic results will be available on all future foals. We have had 60 foals since 2009 and are expecting 5 more in 2019 by our stallion, TRR Paddys Texas Gin by Paddys Irish Whiskey and damsire of Tanquery Gin. They are everything we hoped for--athletic, nice dispositions, good looking and included some color--bay roan, palomino and buckskin. Tex puts a lot of muscles expression on his foals. We are anxious to hear and see how they do under saddle. The first 2-3 year olds were started in 2012 and have done very well. They are pretty mellow and very athletic and we’ve heard good things about them this spring also. At least one is being roped off of as a 3 year old. He has several offspring that making their way into the barrel racing world and are running in the 2D and expected to make pro level horses. We just continue to hear good things. If he continues to produce like this, Tex will have a nice long future as a sire on our ranch. Please check out Tex's page for more information on him and which mares he's bred to. We retained one daughter being who received her Certificate of Ability in reined cowhorse and she is also a money earner.....Paddys Gin Fanta JW. We are now ranching on Fanta at home. Whoop Up Whiskey is our second son of Paddys Irish Whiskey with a different bottom side to include Doc O Dynamite and Sugar Bars. His first 34 foals (2014 through 2018) are more than meeting our expectations. 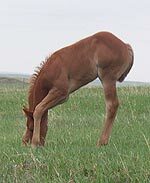 They are very stylish, elegant foals that display extreme agility and trainability. We have been very pleased during halter breaking the first sets and we heard excellent things about the oldest getting started under saddle as two year olds. So far they have also all been born as friendly little ones wanting to engage with people. We have personally kept an own daughter of his, Whiskey Up Chinks JW, that is home and we are ranching on her. JK Jay Reed aka Pine Cone is our senior stallion. Pine Cone is 96% Foundation with a solid pedigree and he's a super nice stallion to handle. His foals are athletes with good feet, awesome dispositions and they really have a lot of 'cow'. We don't think you will be disappointed with a Pine Cone baby. We have retained a few of his daughters for our program and they are excellent mamas producing foals for us as well. In 2012, we purchased a perlino stallion, Walter O Rielly aka Radar. For those of you who don't know, Walter O'Rielly is the name of the character, nicknamed 'Radar', on the hit TV show, M*A*S*H. Our Radar is a grandson of Ciderwood, great-grandson of Orphan Drift and Docs Jack Frost with a great shot of Poco Bueno thrown in there through Poco Speedy, Poco King Tuck. We have selectively bred some of our best mares to him starting with 2013 foals. We have added several replacement fillies to add to our program. His stud colts continue to make top geldings. We have started some ourselves so far and are hearing good things about the others. One of our go to ranch horses is his 2014 daughter, San Ella Drift JW. Radar has several proven riding offspring out in the world prior to our purchase of him. His first daughter for us, Sapa Hula Drift JW, had her first foal in 2017 and has been a great mama! We retained three of our 2008 foals by Mr Salty Peponita as replacement broodmares. To date Mr Salty Peponita has had 10 performers. Please check out his page for more information. Those mares have all been ridden on the ranch. Peponita Stareyed JW has become a main go-to horse for us and she has now had her first foal in 2015. She foaled again in 2018 with a bay stallion from our newest stallion Jacks Our Bartender. Peponita Roan Bar JW had her first foal in 2014 and continues to be an awesome producer. Peponita Laceyed JW has been used on the ranch as well as in our broodmare bunch. We have kept a daughter and granddaughter from her so far. Our mare pages will show you ranch, cow, speed and versatility. We have several mares that are higher percentage foundation as well as speed bred mares. 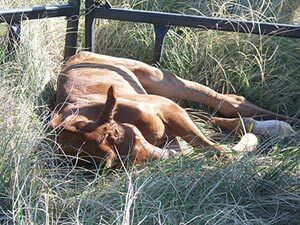 The Mr Salty Peponita (100%) and JK Jay Reed (96%) babies will give you a higher percentage foundation foal package with the versatility to cut, rein, ranch, ride, trail, pleasure, take care of the family, run and breed when they’re done. Even the speed bred colts have a strong shot of foundation bloodlines. Foundation research is currently being done on some of the other mares. Tex should add modern performance and extreme athleticism to his foals. We foal mostly mid-April to mid-May with a few carrying over into June. We feel that this foaling timeline gives us better weather, more time and facilities to handle the mares without the cows interfering as much. The mares milk better on green grass and often our June foals size up right along with the April ones. Don’t overlook the younger foals. In three years that age won’t make a difference in how well they ride and perform. If age is a concern for you, give us a call and we can discuss weaning, our feeding/nutritional program, and foal development options with you. There is more information about our feed business, feeding program, and our pelleted Woroniecki Ranch All Around feed on the Our Program page. All the foals will have been gently handled, dewormed twice and will be used to eating a balanced protein/fiber/mineral/vitamin ration alongside their mothers before weaning. We will provide one 50 pound bag of our pelleted Woroniecki Ranch All Around feed that they are used to eating and additional bags will be available for purchase. The foals may or may not be halter broke for in state travel. For out of state travel they will lead and load, but will not be recommended to stand tied or travel with ropes or halters on them in the trailer. If you are not already an AQHA member, you may get your own membership or we will assess you an additional $45 one year membership fee in order to do the transfer for your new purchase. The papers will come to the new owner directly from AQHA. We do require a purchase agreement and we will email you an example purchase agreement upon request. Thanks for looking and please call or email for further information.